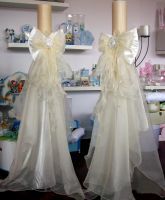 Pair of round pillar dressed wedding lambathes showing an example of what is available from Treasured Favours. All lambathes are dressed to each bride's own unique specifications for her wedding. 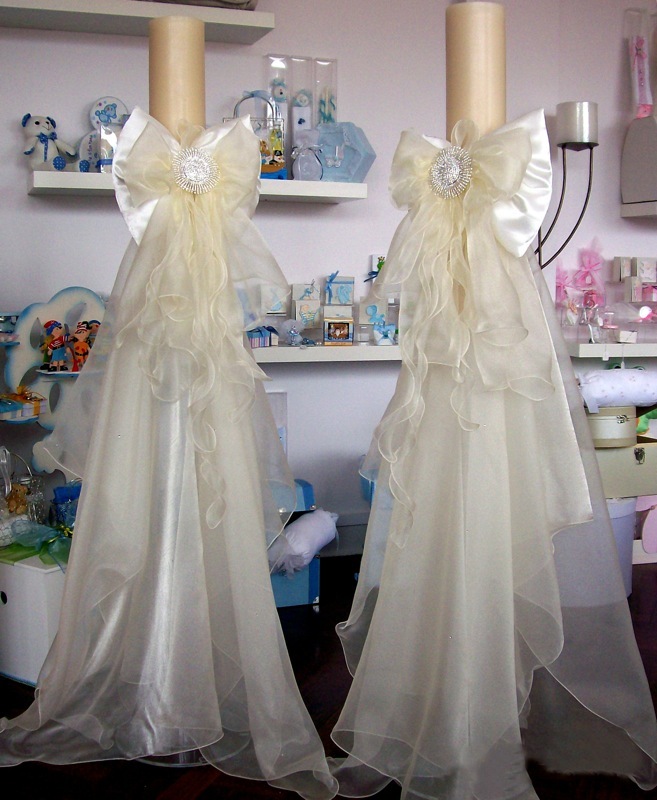 A wide range of Wedding Lambathes are available and we will be adding more examples here shortly. Prices vary according to how each candle is dressed, and the size of the candle.